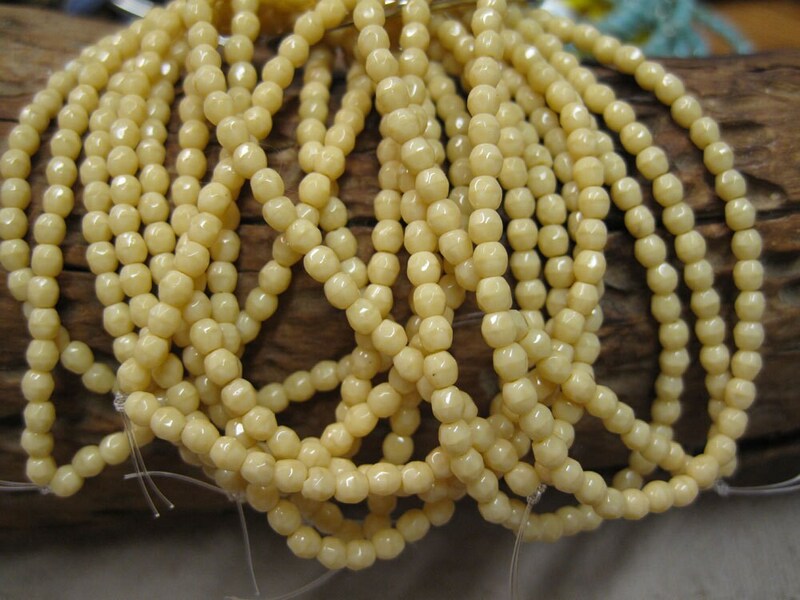 One strand of 50 opaque beige Czech glass fire polished crystal beads measuring 3mm. Add some sparkle to your jewelry creations! I love the soft opaque light beige that these beads show. Great price for these lovely 3 mm Czech Firepolished crystal beads.